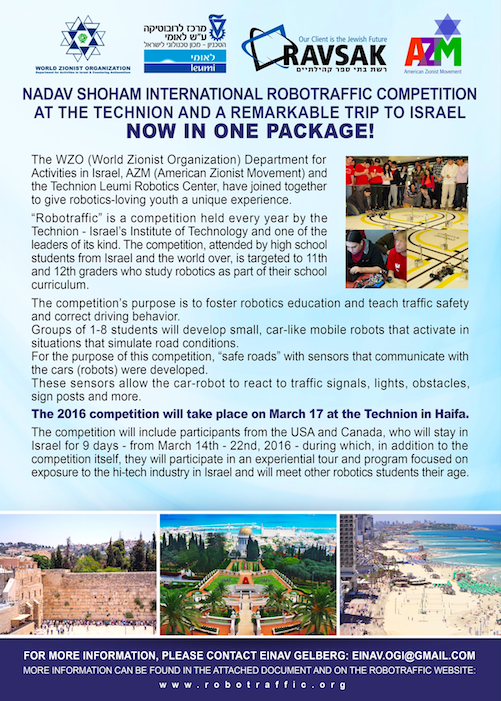 The Robotraffic Competition will take place at the Technion next March for the 7th consecutive year. The event is a joint initiative of the Technion Leumi Robotics Center at the Technion’s Faculty of Mechanical Engineering and RAVSAK, the Jewish Community Day School Network, in cooperation with the World Zionist Organization and the American Zionist Movement. The participants come from all over Israel and the Jewish Diaspora and have the opportunity to build their technical knowledge and skills. To compete, each team has to design a vehicle, install the software, build it, and make a presentation – in Hebrew or English. The event does not, however, only focus on technology and innovations in robotic car structure, but also on knowledge of driving rules and road safety. The teams are judged on the quality of their cars, how well they drive, and how safe they are. Avi Agnon, Chairman of World ORT – a global Jewish educational organization, which cosponsored the event in 2012 – highlighted its contributions in bringing “groups from abroad, encouraging the connection between Jewish communities abroad and those in Israel, and providing a forum to exchange knowledge and ideas between students”. 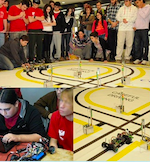 Indeed, beyond a robotic competition, the event is an opportunity for young North American teens to experience a week of friendly competition, while meeting budding scientists in Israel and discovering the country. 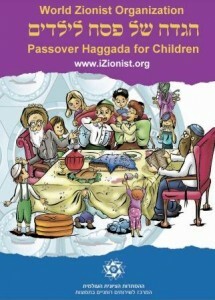 The participants will stay in Israel for 9 days, March 14-22nd 2016.